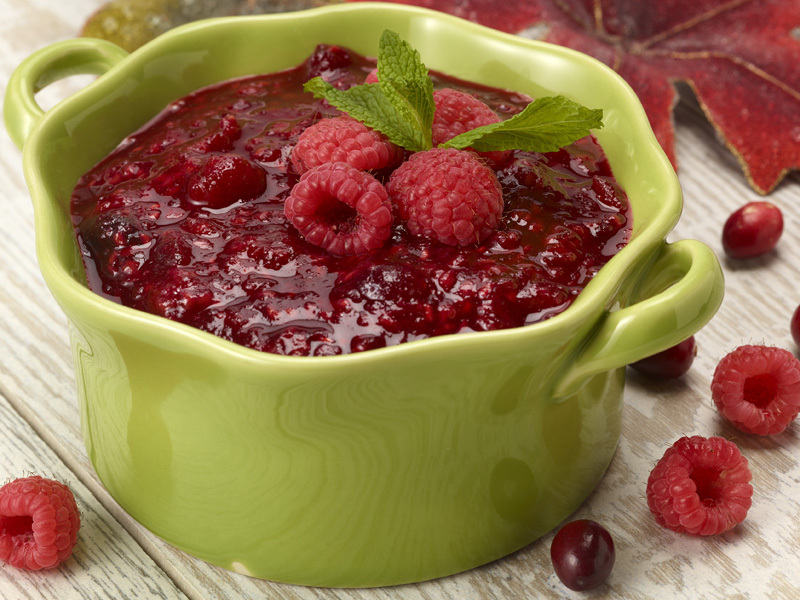 Cranberry Raspberry Sauce is an easy way to change up an otherwise boring cranberry sauce dish. It is great for holidays or using up your cranberry stash from the freezer. In a large saucepan, simmer the apple juice, sugar and cranberries. Stir occasionally for 10 minutes, or until the cranberries pop and the sauce starts to thicken. Add the raspberries and simmer another 3-5 minutes, stirring frequently. Remove from heat. Cool to room temperature and refrigerate until ready to use. *To freeze, place the sauce in an airtight container or freezer-safe plastic bag, with as little air as possible, to prevent freezer burn. Freeze up to two months. To use, defrost frozen cranberry sauce in the refrigerator overnight.